Digital native customers expect a higher level of user experience than ever before. At the same time, advancing cyber security threats are increasing the pressure to protect sensitive data with better governance and compliance. Human processes and data analytics are being automated, which demands service orchestration. Meanwhile, the day-to-day operational challenges of managing legacy applications and maintaining service availability remain obstacles to innovation. Fortunately for these embattled IT teams, Cloud technology has firmly staked its claim in a technology industry where performance and time to market is key. From seed to IPO, Cloud has affected all types of businesses and is influencing strategic decisions. It’s estimated that $3.5 million will be spent by enterprises on cloud apps, platforms and services this year, taking up 30% of enterprise IT budgets on average, according to recent figures. And it's easy to see why: Cloud enhances an organisation’s flexibility, allowing them to run application workloads on the most efficient and appropriate virtual infrastructure available. From an operational standpoint, as well, Cloud makes things easier. Performance and availability can be fully managed by the organisation’s Cloud Service Providers (CSPs). To top it all off, the Cloud is 'always on', requiring fewer man-hours to manage and maintain than legacy hardware. Still, Cloud technology alone is not enough; instead, to maximise benefits and optimise business outcomes, organisations should adopt a Hybrid Cloud approach - a mixture of Public and Private Clouds. To achieve this, a robust Cloud Management Platform (CMP) is key. Business leaders should seek a CMP that delivers, in short: one bill, one service model, and one support model across the customer landscape. Such a platform gives users a single view of all their cloud services across both private and public clouds, enabling companies to change and migrate services between cloud platforms, depending on application requirements. This visibility will empower IT to underpin its role as an internal service provider. All of this ensures that businesses can keep up with the major changes present in the business landscape. To find out more, download our new report 'Beyond Boundaries: Limitless Innovation' - snapshots of which you might see on the Tube over the next week or so. Also, keep your eyes peeled for a final blog post on this subject. Readers will learn how to gauge how 'Cloud-ready' they are, with advice on how to inform which business goals are the easiest to achieve and create value - don't miss it. 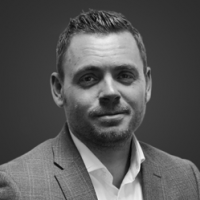 Jonathan brings experience from all spectrums of the IT lifecycle from engineering, design & development, strategy, consulting, service delivery, transformation and sales. His career spanning the last 17 years had been across multiple global system integrators such as Atos, Fujitsu and HP and for the past 10 years has been focussed around driving innovation to customers through the leverage of Cloud technology and services. His passion is helping customers harness new and emerging technologies and services to drive innovation within the business and be agile to respond to market change. At Exponential-e his core focus is supporting customers in transforming their IT services to enable the business to drive their digital transformation strategy, working with the teams across Exponential-e to drive innovative release of new services as well as strengthening Exponential-e’s Analyst, CIO and Partner community.